Curiosity – The Cube Destroying Game! If you are a fan of unique games, or just unique concepts in general, you will love Curiosity. It is not very often that you can say you have experienced something truly unique in the world of gaming – and that is even more true in Hollywood. Curiosity is a simple game on the surface; you are presented with an enormous cube that is comprised of many millions of smaller cubes. 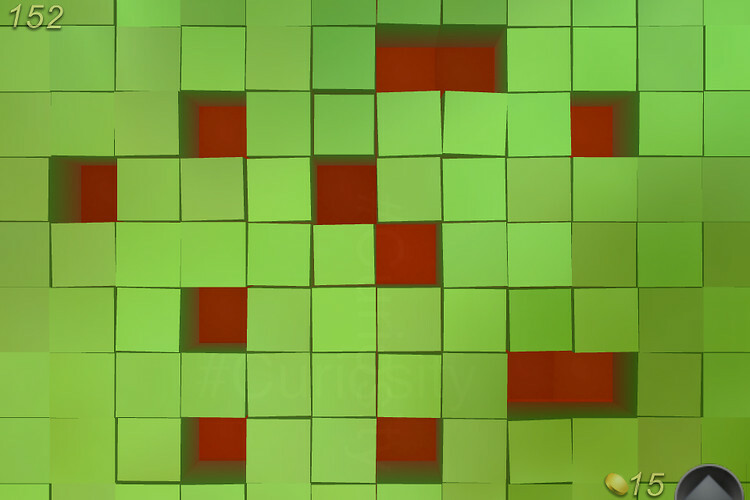 The objective of the “game” is to destroy the cube one layer at a time by clicking on and destroying the smaller cubes. The game doesn’t sound very exciting does it? What if I said that you were not the only one destroying the cube? Instead, you are one of many thousands of people around the world simultaneously destroying the cube at the same time? You see, Curiosity is really more of a social experiment than a game. The concept is that people around the world will join forces around the world to collectively destroy the cube. So why would you spend time destroying a giant cube? I have to say that while the game seems rather pointless the experience is not. It is very cool to see the work of thousands of people simultaneously chipping away leaving their own pieces of art behind. Of course, many of these “works of art” are just penises, but already people have taken to chipping away at the cube to create complex images that can be seen by everyone else before being gobbled up by the cube’s destruction. Of course, as with any game, there is a winner. Destroying the cube is a collective effort that will require the work of many thousands of people but only one person will click on the final cube at the very centre. The game’s creator has promised that the person that destroys the last cube will be presented with something amazing but gives no clue as to what the “prize” might be. Of course this curiosity is what the game’s creator hopes will keep people clicking away, slowly chipping away at the massive cube for what will be at least several weeks even if many thousands of people work at it. My geeky side (my dominant side) is particularly impressed by the technology involved. How the game is able to keep track of thousands of people interacting with the same object is beyond me. The game isn’t perfect with frequent crashes. Also, you will find yourself destroying a section only to find the cube refresh and reveal that large sections of what you have been working on have already been destroyed by others. However, overall the game is very impressive at rendering the cube with its thousands of unique sections of art. Download the game and give it a go. It is something you have to see to believe.